This week we’re doing a Meatless Monday (and Tuesday), and a roast chicken for the rest of the week because that’s what was in the freezer and I need the bones to make bone broth! 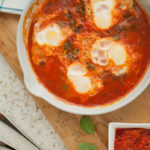 I’m always looking for new ways to make breakfast, especially eggs. 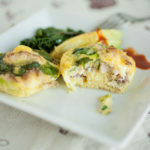 I love the sous vide egg bites from Starbucks, and there’s a local coffee shop with egg muffins. 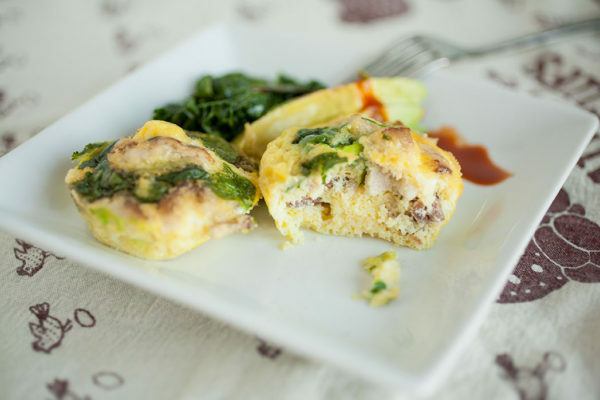 I wanted something I could make at home but something that wasn’t as dry as most egg muffins or egg muffins you find…. As a child, my grandfather would sometimes take me to the country club where he and my grandmother played golf and we would share a special brunch. They had the shiny hotel pans filled with steaming eggs, bacon, pancakes, and waffles along with plates piled high with fruit, pastries, and desserts. 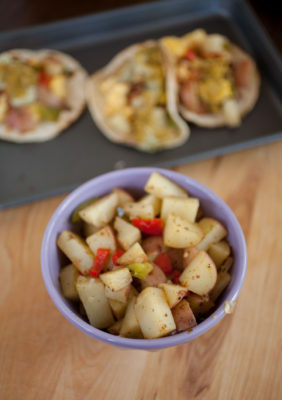 But the one thing I would make sure to put on my plate every time were those savory breakfast potatoes with peppers and onions. 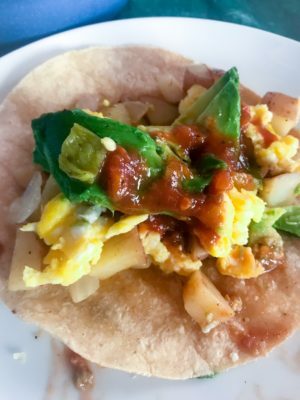 For some reason, though, and even though they’re ubiquitous at hotels and brunch places almost everywhere, I never learned to make them myself. 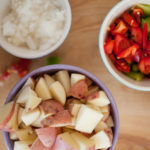 Fast-forward twenty or so years and, thankfully, my husband makes perfect country club/hotel brunch potatoes, and that’s the recipe I’m sharing today (that he is so graciously allowing me to post—thanks, love!). 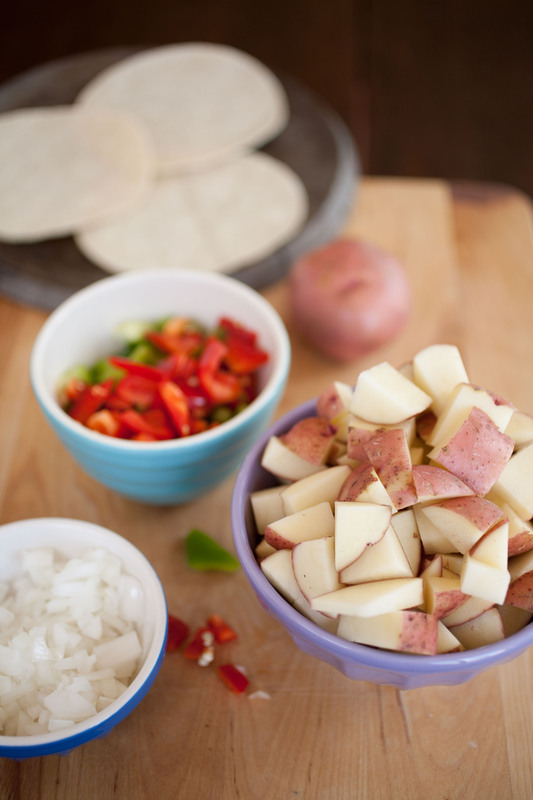 Savory little red potatoes are sautéed with spices, sweet red and green bell peppers, and onions. 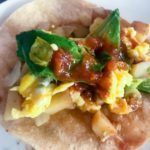 As with most recipes on this blog, it’s simple and quick to make and it’s perfect for breakfast and brunch. 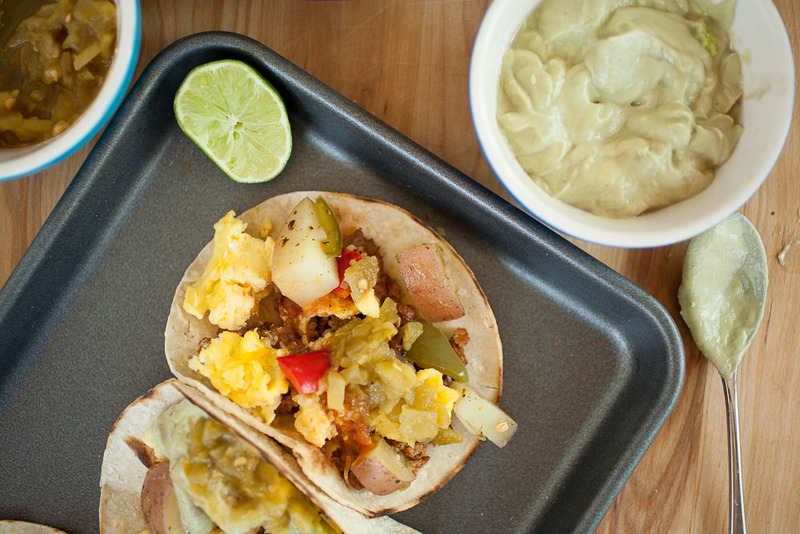 They also pair perfectly with next week’s recipe: New Mexican Breakfast Tacos! 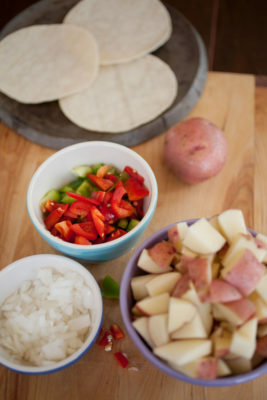 Cut the potatoes into eights, chop the quarter onion and half bell peppers, and place all in a bowl. Add the seasonings and toss to combine. Heat the oil in a large pan over medium-high heat to get it hot. You want a pan that will be big enough to fit everything in one layer so everything cooks evenly. 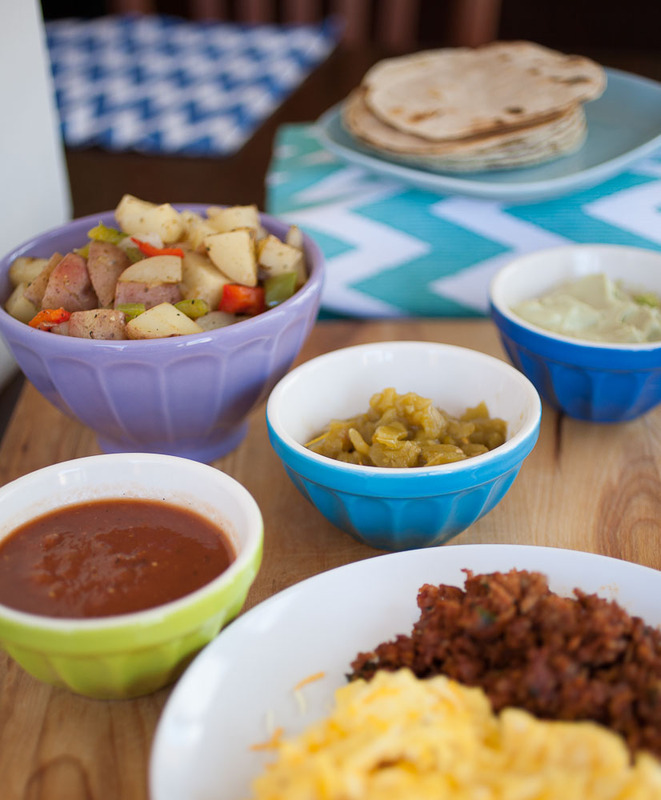 Once the pan is hot, turn the heat down to medium-low and put all ingredients into the pan. 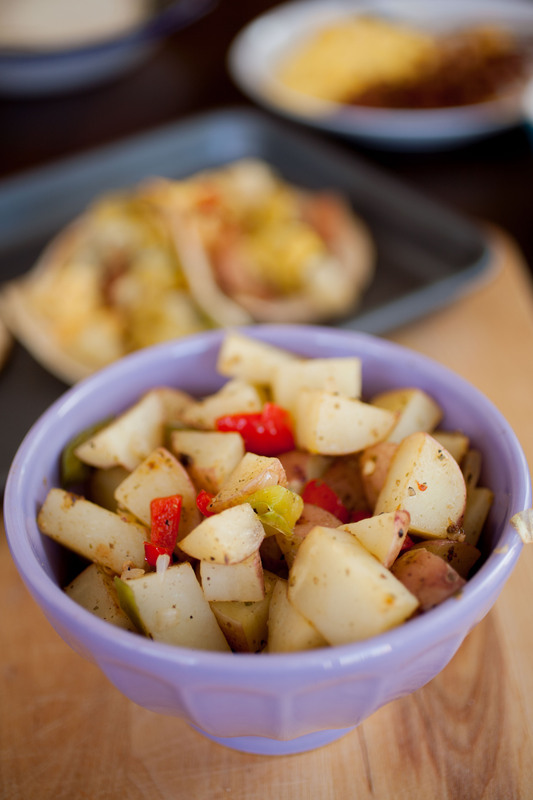 Cover and cook for fifteen to twenty minutes, stirring frequently, until potatoes are soft and slightly browned. 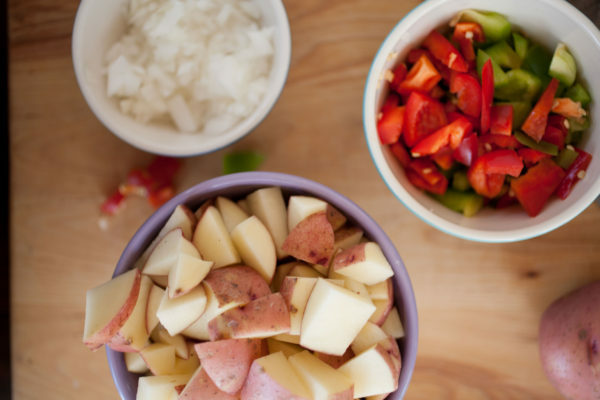 And that’s it—potatoes just like you’d find at a hotel brunch buffet. 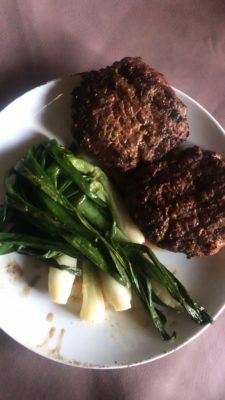 And, thankfully, if you love them as much as I do, you can whip them up in less than half an hour with minimal effort and just a few dishes to clean! 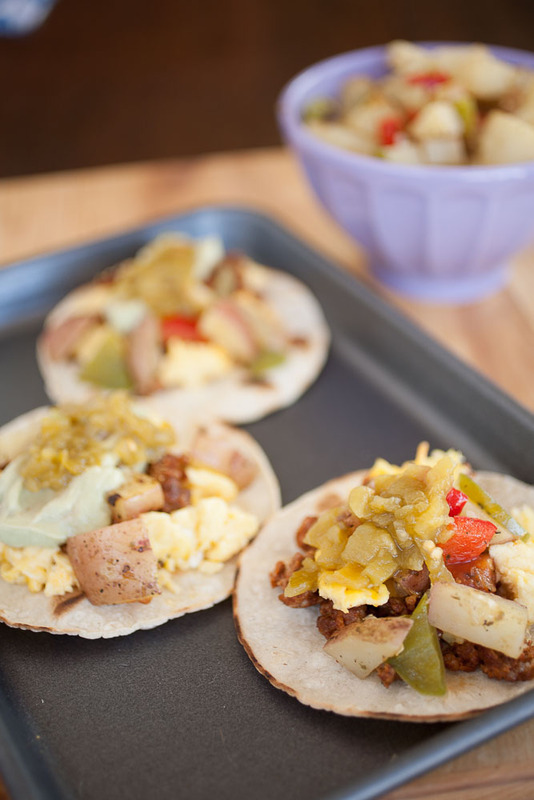 Check back next week for a companion, and very New Mexican, recipe, those breakfast tacos I talked about above! 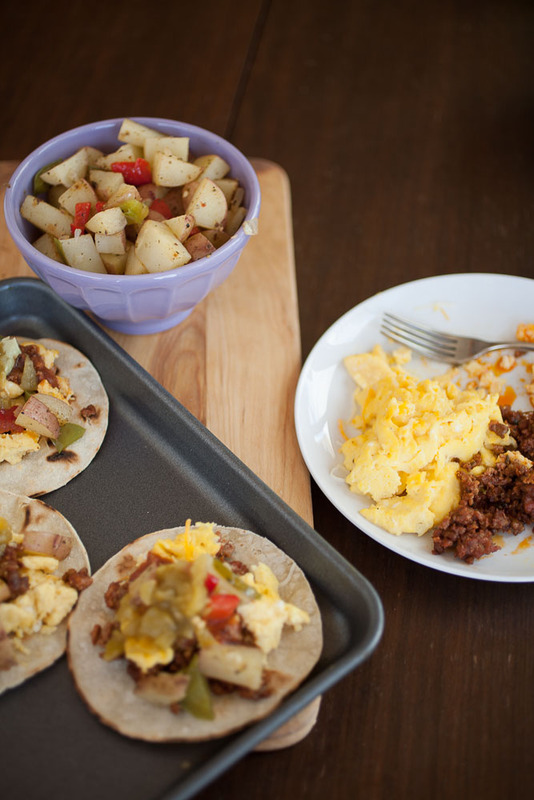 I’ve found that there are two types of people in the world: sweet breakfast people and savory breakfast people. 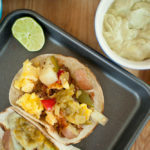 I am definitely one of the former (have you seen the Flurries of Flour breakfast board on Pinterest?) while my husband is usually one of the latter. 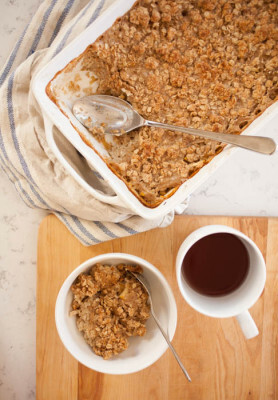 One thing we can always agree on is oatmeal, especially this apples-and-cinnamon crisp oatmeal. 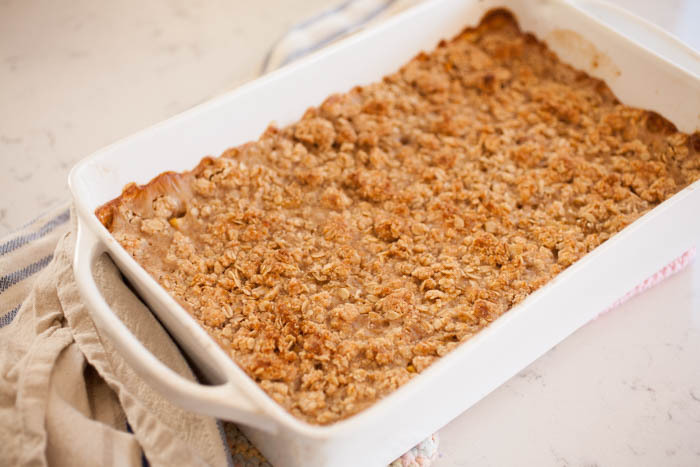 This apples-and-cinnamon crisp oatmeal is sweet, but not too sweet, but not too sweet, easy to make, and is actually pretty good for you as far as sweet breakfast foods go (I’m looking at you, coffee cake!). 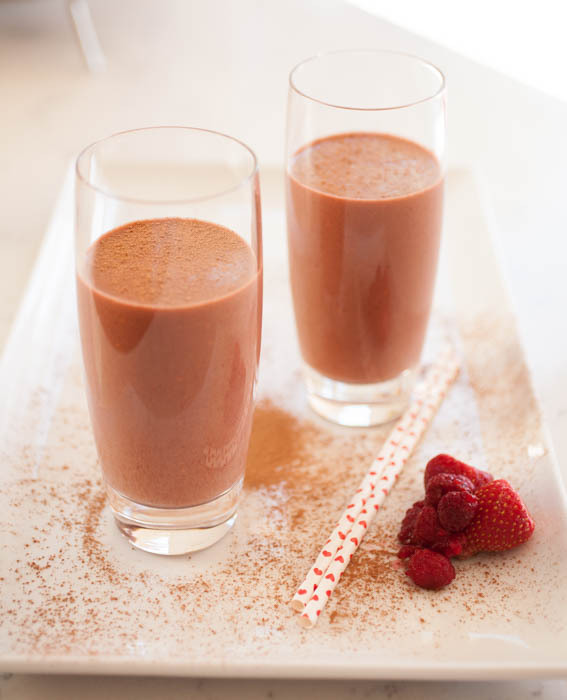 It’s a perfect way to celebrate special days (say, for instance, the end of the week…). 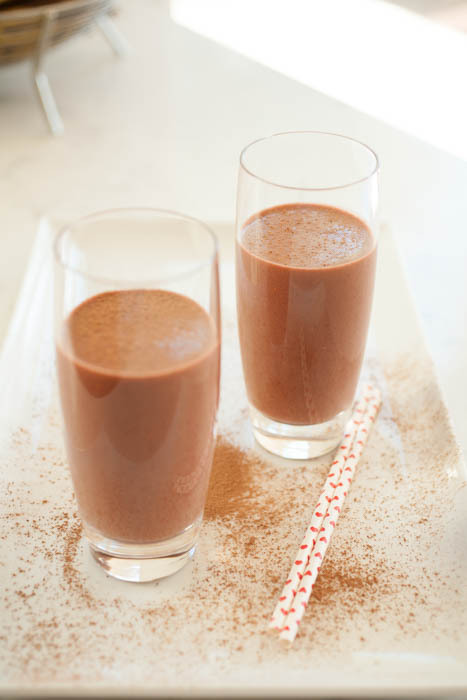 Plus, apples+cinnamon=always good in my book! 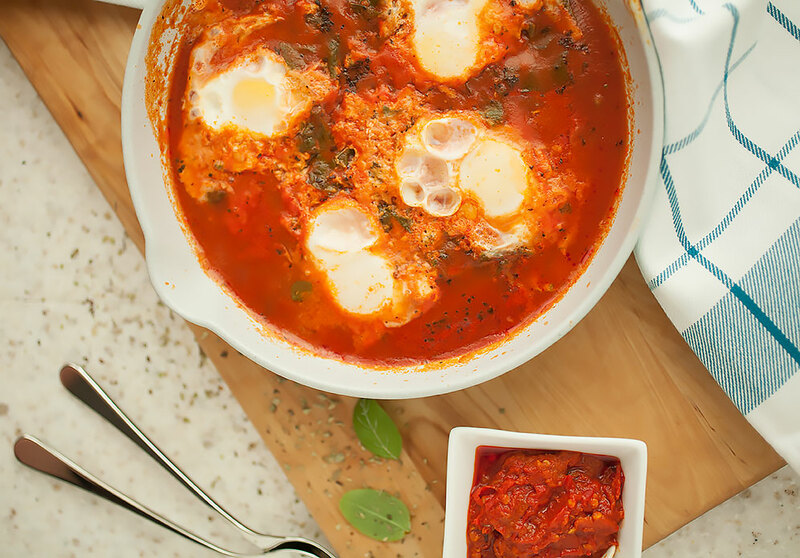 This recipe is also gluten-free and egg-free! 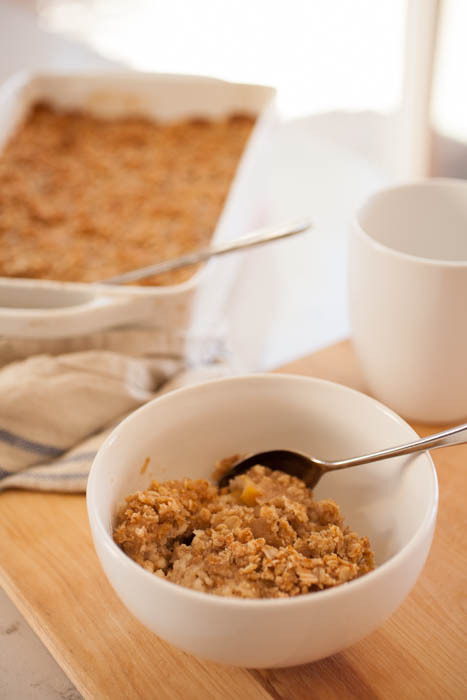 You won’t need anything special for this recipe, but we still look forward to having the sweet, crispy crust and creamy oatmeal for breakfast. Also, I’ve made this a gluten-free recipe, but you can substitute the almond flour for any flour you’d like, gluten-free or otherwise, including oat flour, a gluten-free flour mix, or AP flour. 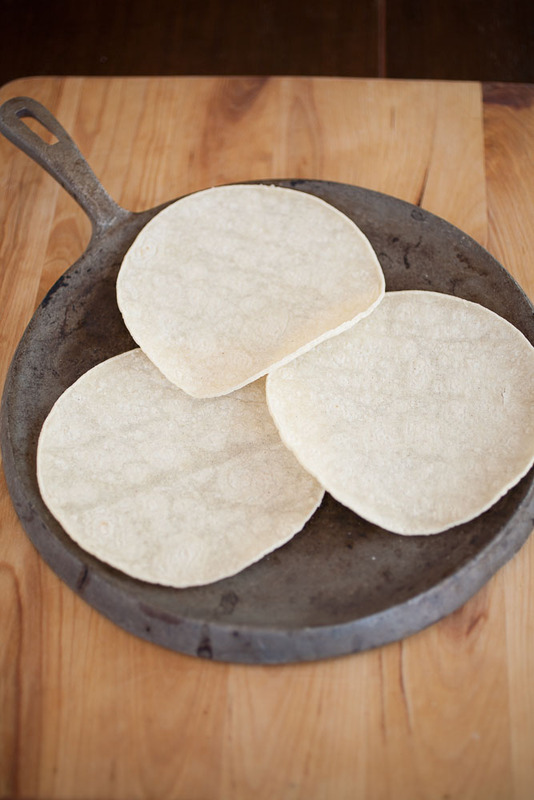 The ratio should remain the same for most flour substitutions. I also increased the amount of liquid used for the oatmeal to ensure it doesn’t dry out in the oven, so yes, it will seem like a lot of liquid at first. 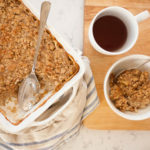 This gluten- and egg-free apple crisp oatmeal is a wonderful way to celebrate your morning whether it's the weekend or just a weekday. 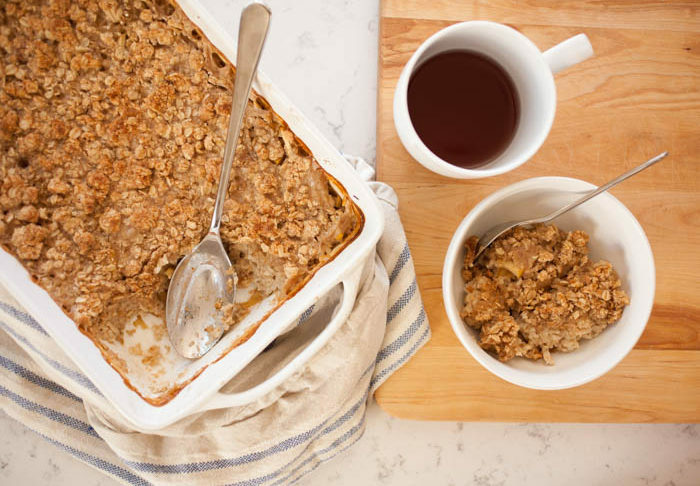 Apples, cinnamon, and a light crisp topping make this oatmeal extra special. Preheat the oven to 375° F and grease a 9x9 baking dish. 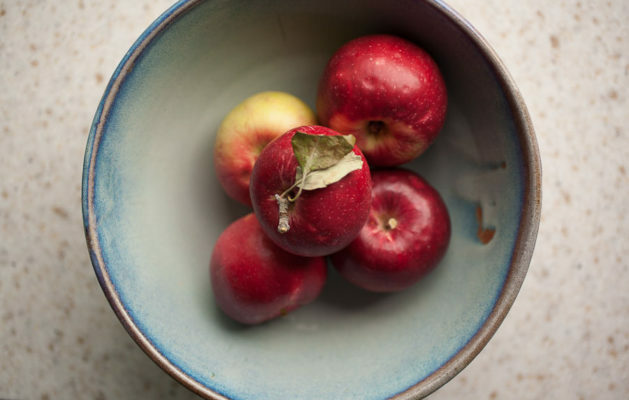 Chop the apples into small pieces. You can peel them or not. Scatter them across the bottom of the baking dish. 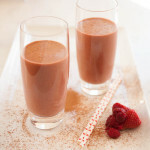 Pour the water, milk, maple syrup or honey, vanilla, and cinnamon into a large pot and bring to a boil. When the mixture comes to a boil, stir in the oats and cook for half the time indicated on the packaging (for me it was about five minutes). 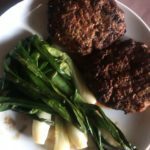 You want them semi-cooked to prevent sogginess later on. While the oatmeal is cooking, combine the butter, almond flour, oats, brown sugar, granulated sugar, cinnamon, and salt (if using) in a bowl. 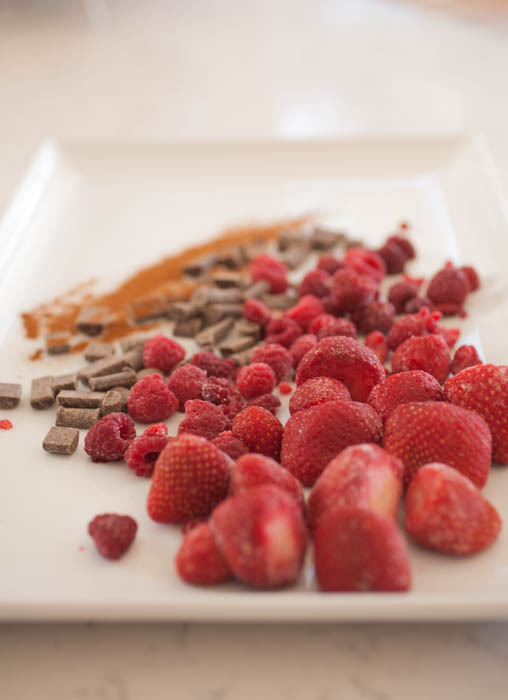 Combine with a fork, your fingers, or a pastry cutter until the mixture comes together. 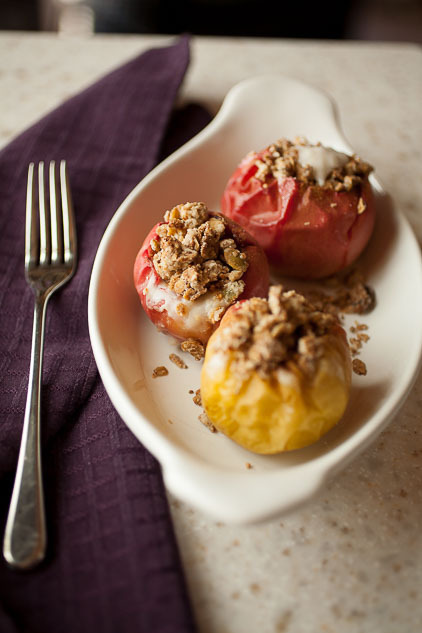 Once the oatmeal is half cooked, pour it into the prepared baking dish over the apples. 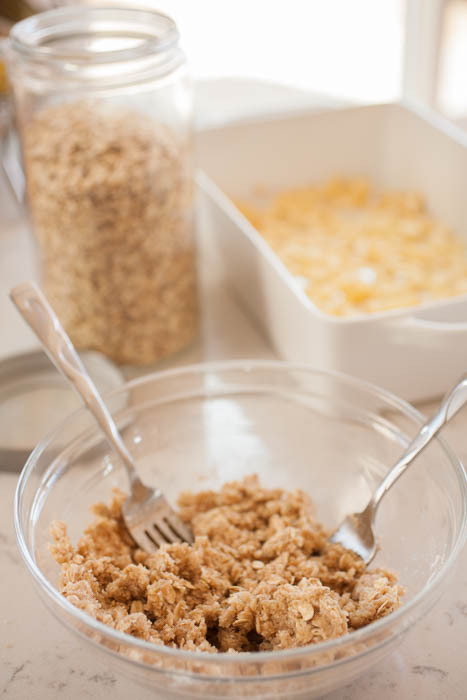 Using your hands or a spoon, place small chunks of the crisp mixture over the oatmeal. Don’t worry, it won’t sink. 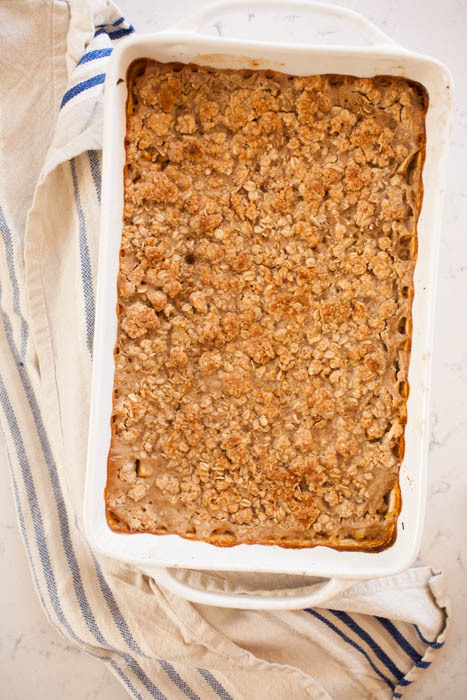 Place the baking dish into the oven for about 45 minutes, or until the crisp mixture is golden. Let the oatmeal cook for ten minutes and serve in bowls! And that’s it! 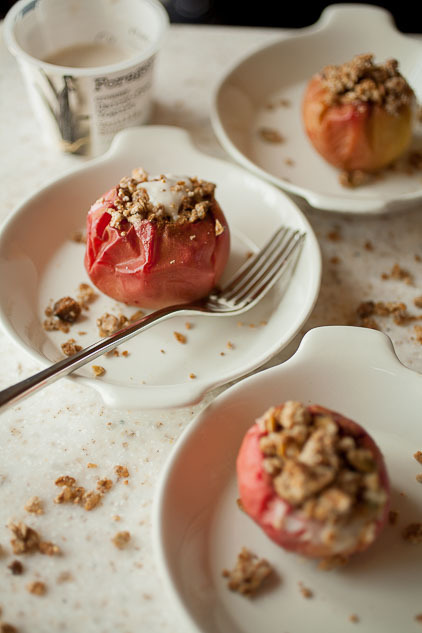 You have a sweet, filling breakfast that is gluten-free, egg-free, and a pretty healthy way to celebrate your weekend or just make your weekday a little more special! I love cereal of some sort in the morning. 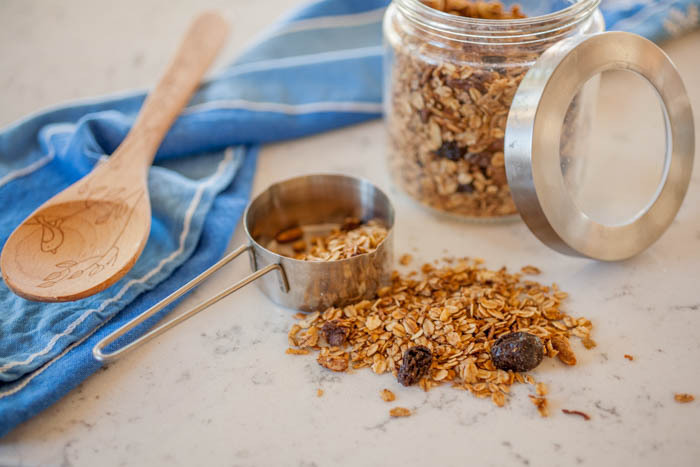 Lately, my husband and I have been eating oatmeal in the morning and one of our favorite things to add to the oatmeal is granola. 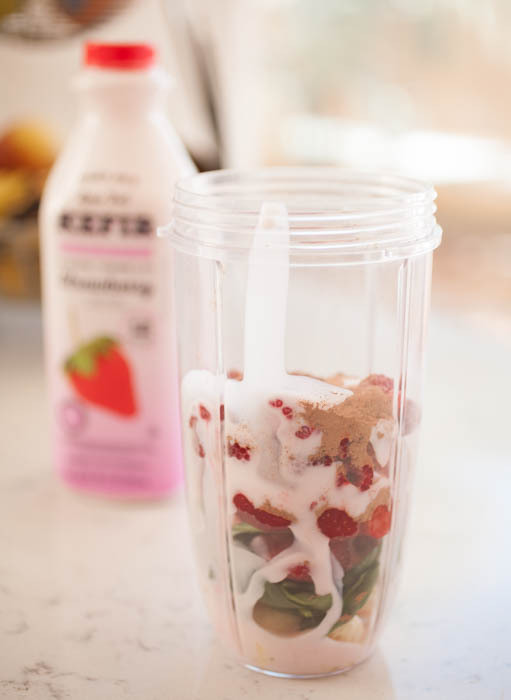 We just sprinkle it on top to get an extra boost of flavor, sweetness, and crunch. 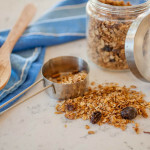 And the best part is, it’s homemade granola! 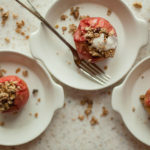 Despite the long name of the blog, this recipe is simple and results in a sweet, crunchy, an oh-so-satisfying morning (or afternoon, or evening) treat! 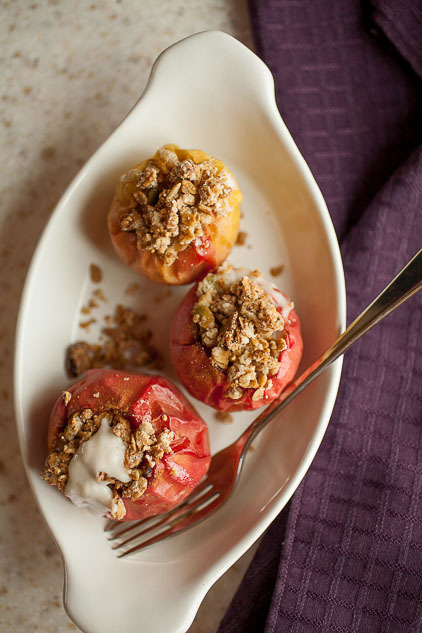 It’s so perfect by itself as a quick snack or with milk, mixed with yogurt, or even sprinkled over ice cream! 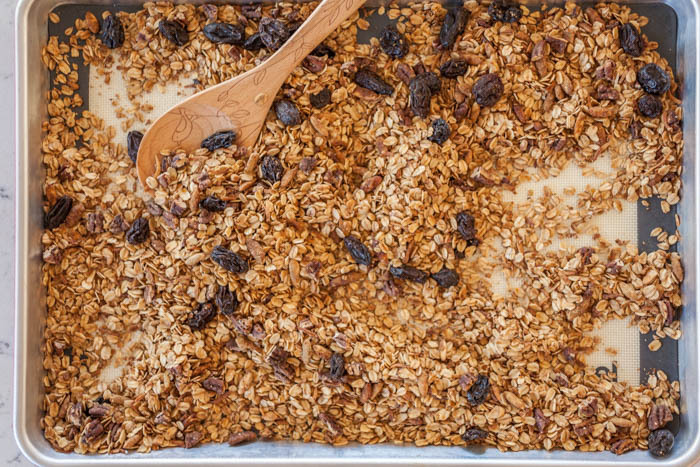 This recipe is the very basic building blocks of granola. 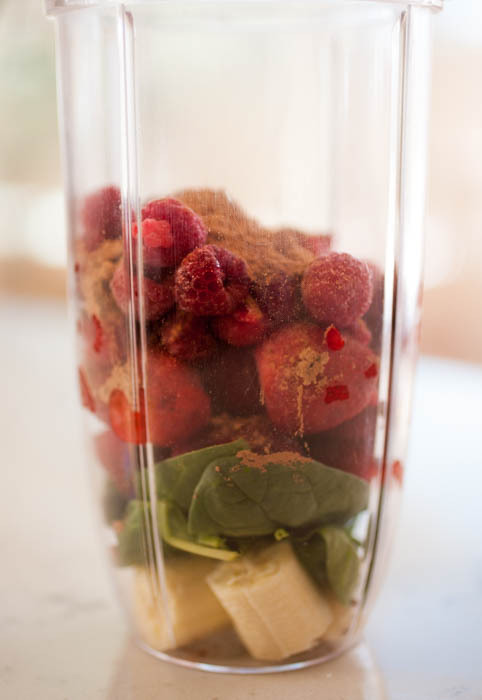 From here, you can add almost anything you want to change up the flavor! 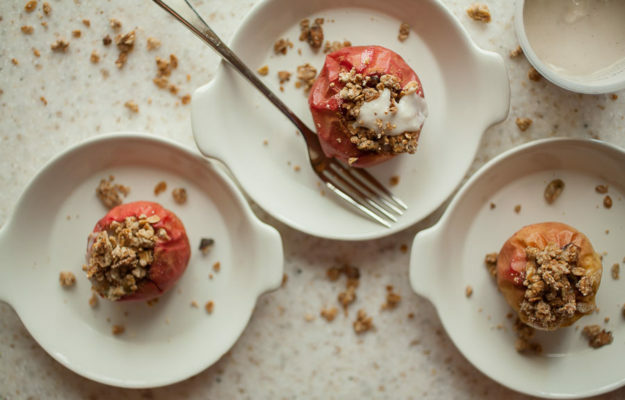 You can choose how sweet your granola is, how toasted it gets, etc. More on that below.